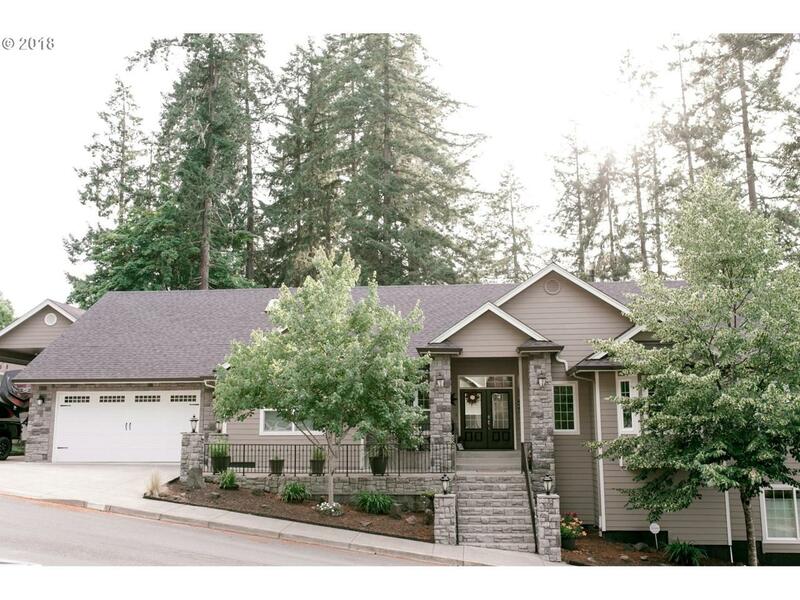 Absolutely gorgeous custom home..amazing amenities AND views! 5 lg bdrms, 3 full baths, breathtaking master suite. Custom Cherry wood cabinets, granite, very tall ceilings, tons of natural light,SS appliances, lrg pantry, 2 gas fireplaces, European sinks, tile & Bamboo laminate flooring, French doors,surround sound, 2 levels living space w/ kitchenette on lower level bonus room upstairs. 4.5 car garage and 35 x 17.5 covered RV parking.